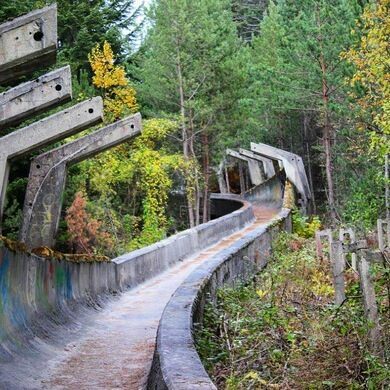 Once a proud feature of Sarajevo’s 1984 Winter Olympic games, the bobsleigh track has since fallen into ruin after being the victim of military actions. Place with alleged mystical powers in Old Orthodox Church in Sarajevo. The place where WWI started. Oriental bazaar in the heart of Sarajevo. The 1300-meter concrete track was completed in 1982 and featured a total of 13 turns for the lugers to navigate. The expensive public work paid off for the country after the events around the site during the Olympics garnered enormous crowds. The track was able to be reused during World Cup competitions in later years following the winter games and it appeared that the long track would continue to pay dividends. Unfortunately when the Yugoslav Wars began in 1991, the track, like the rest of the country, became embroiled in the fighting. The curled turns were used as defensive positions for Bosnian forces, and the whole of the track became pocked with bullet holes and other wounds. Today, the track still stands as a favorite spot for local graffiti artists who have decorated whole swaths of the curving lane. The Sarajevo Bobsleigh Track is a literally concrete reminder of a more prosperous time. It is currently under re-construction for future bobsleigh competitions but official guided tours are still available. Do not wander around this area alone or without a local who knows it perfectly; there are still many unexploded mines littering the hillside. Venturing off the established paths is not advised. 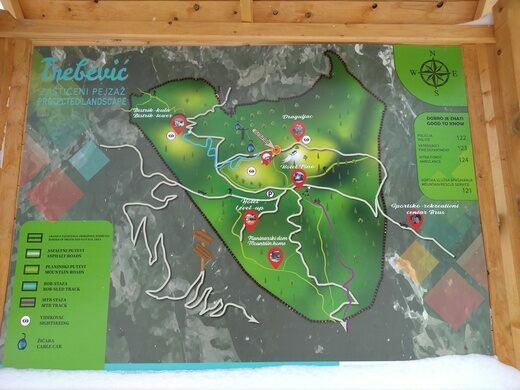 However, many travelers do hike this medium-difficult trek through the houses on Mount Trebević. Alternatively, there are tours which cater for those who do not want to hike or local buses which go three-quarters of the way there. You can also hire a taxi and your driver may act as your tour guide for the trip, just be patient and negotiate the price before getting in.The easiest way to reach the track is now via the recently refurbished cable car. 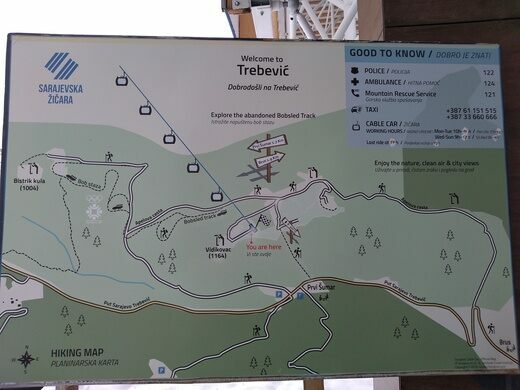 The way is signposted with maps from the cable car exit. This abandoned Olympic skiing facility still bears the scars of the Siege of Sarajevo. Stuck in the middle of a modern Madrid city block are the remains of a 19th century sports complex.